Welcome back and Nancy Hill, Design Team for The Rubber Buggy. 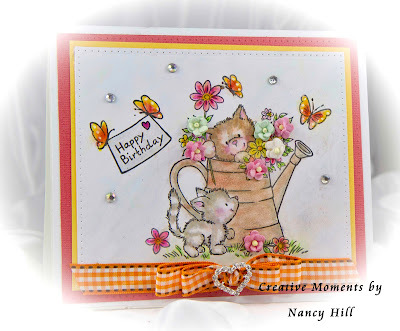 I am excited to share my card with you using the adorable Wild Rose Studio stamps sets: Wild Rose Studio Cats In the Garden with the Wild Rose Studio Bella Party #2. All of these wonderful stamps and supplies are available at The Rubber Buggy on-line craft store. I colored this picture with Copic Markers and added the wonderful NUVO Glitter pen in different places to bring out water can and sign. I love the NUVO Shimmer Glitter Gloss pen with the clear liquid shimmering glitter that flows evenly and slowly out of the brush. Take a look of these adorable Wild Rose Studio stamp sets and imagine all of the different occasions you can use this on your cards and projects. I just love the fonts and sentiments besides the adorable animals in these sets. 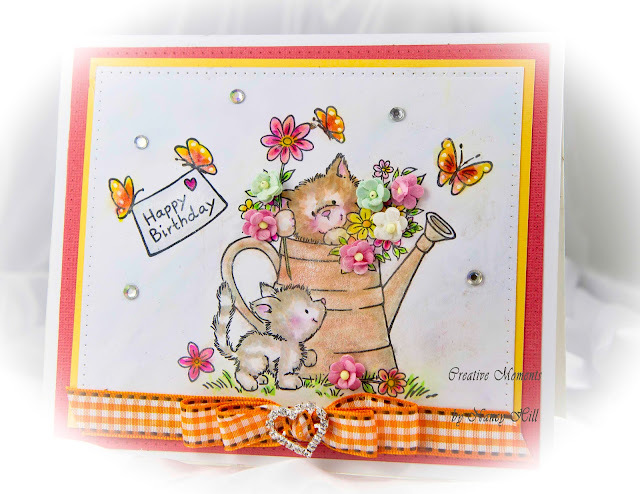 Make sure to see the other Wild Rose Studio stamps and die sets that are available at The Rubber Buggy. 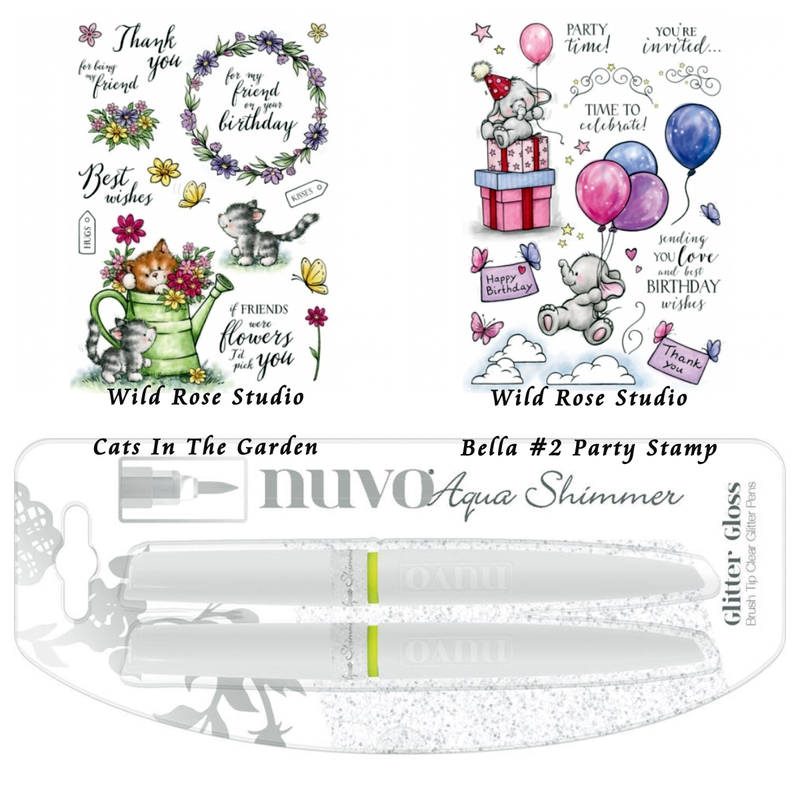 I hope I have inspired you to use these adorable Wild Rose stamp sets that are available at The Rubber Buggy on-line store. My cards and projects are always posted on Saturday. Keep watching and thank you so much for those wonderful comments as well as suggestions. 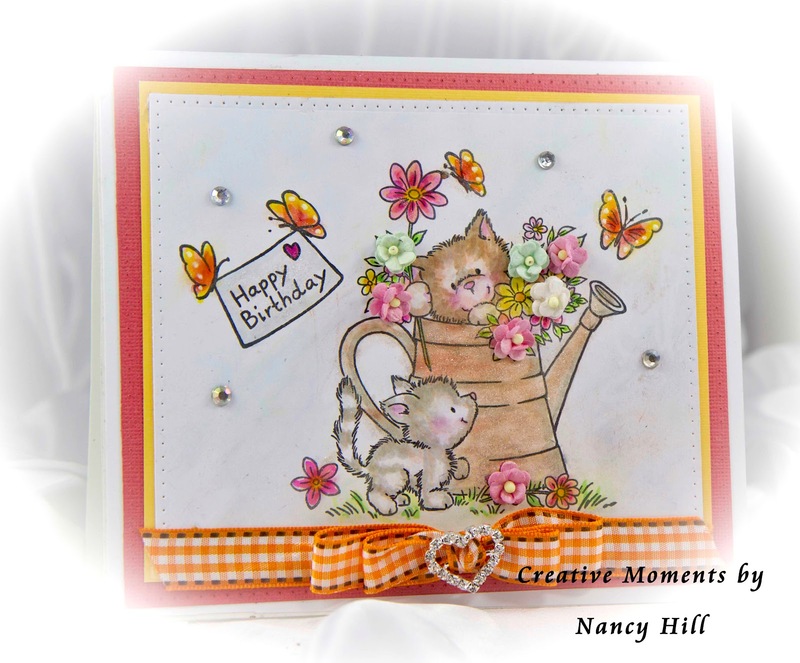 Labels: Happy Birthday card with the Wild Rose Studio Cats in the Garden and Wild Rose Studio Bella Party #2 stamp sets.